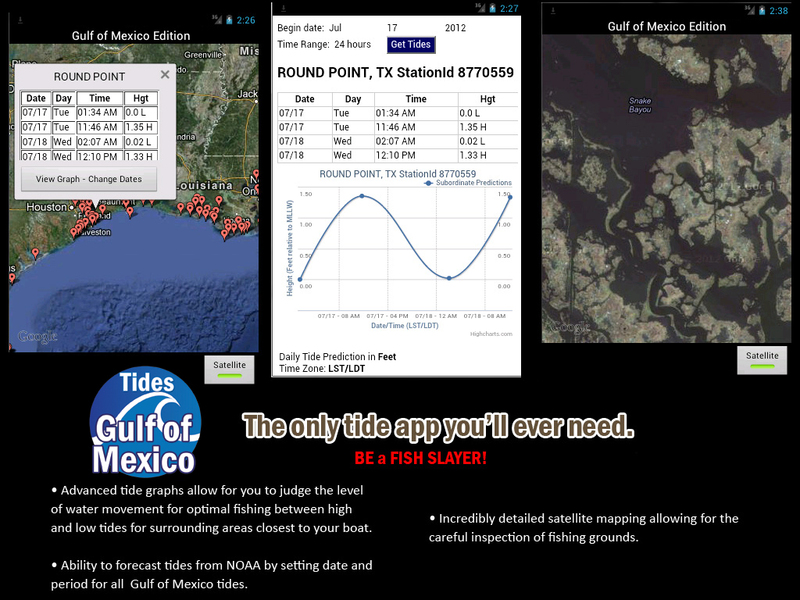 We developed our Android based tide software because we felt there was nothing for us to personally use when fishing, surfing or boating. We needed the ability to view tide stations while on the water combined with tidal flow and displayed on a satellite map to view potential fishing grounds. We needed the ability to view tide stations while on the water combined with tidal flow and displayed on a satellite map to view potential fishing grounds. This personally allowed us to extend our fishing trips by following the natural tide movements and water flow throughout the day without any guesswork. The satellite view has been critical in discovering new fishing area opportunties even if you are local to an area. It’s amazing what a satellite catches from above that you might have missed your whole life. Click here for a list of Florida Tide Tables we include in our mobile Florida tide chart edition. Click here for a list of Northeastern Tide Tables we include in our mobile Northeastern tide chart edition covering Maine to Delaware and all points in between. Click here for a list of Gulf of Mexico Tides including Texas tides Stations, Lousiana tides Stations, Mississippi tides Stations, Alabama tides Stations, and Florida tides Stations. Click here for a list of West Coast Tides including Oregon tide tables, California tide tables, and Washington State tides. Click here for a list of Chesapeake, Eastern Shore & Tidewater Tides including Maryland Tide Charts, Virginia Tide Charts, Washington D.C. tides. Click here for a list of Southeastern U.S. 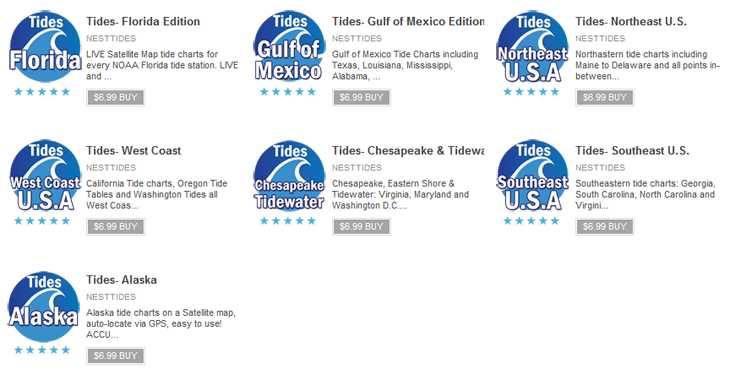 Tide Tables including Georgia tides, South Carolina tides, North Carolina tides and Virginia tides. Click here for a list of Alaska tides including portions of British Columbia tides, Canada. Click here for a list of Carribean tides including Bermuda, Bahamas, Cuba, Bahia de Cienfuegos, Jamaica, Haiti, Dominican Republic, Puerto Rico, Lesser Antilles, Virgin Islands, St. Croix Island, St. Thomas Island, St. Johns Island and the Florida coastline.